OG Kush is a legend in California. It is the progenitor of multiple West Coast varieties yet continues to hold its own by dominating the local industry with its fuel-flavored smoke and head-to-toe high. In addition, it has a tranquilizing body buzz that crushes stress. However, it is a sensitive plant and very difficult to grow. Another famous Californian cannabis celebrity is S.A.G.E., which stands for Sativa Afghani Genetic Equilibrium. The award-winning strain has a spicy woody flavor that, when drawn in, delivers a cerebrally uplifting high that lasts for hours. In spite of its Sativa-leaning genes, though, it has a sturdy stalk that performs well in the grow room. Genetic Lineage OG Kush x S.A.G.E. In crossing the two, T.H. Seeds created the award winning Kushage which displays the attributes of OG Kush with the frame and potency of S.A.G.E. The cross doubles the creative head rush while retaining the soothing effects of its body high. Meanwhile, its energizing high stimulates the mind and removes fatigue. Kushage’s scent is predominantly earthy. There is an overtone of wet soil and woody, like a freshly unearthed pine that intensifies once the buds are broken apart or combusted. In the palate, it has a spicy undertone complemented by a hint of citrus. Meanwhile, the exhale leaves an herbal aftertaste that lingers in the mouth hours after the last puff. Within minutes, users experience the quick-acting head high of Kushage. 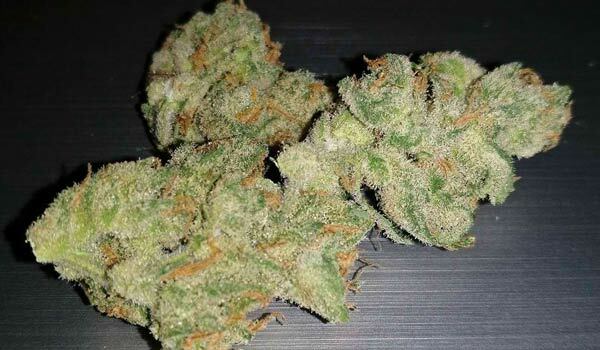 It is marked by a cerebral euphoria that uplifts the mood as it clears the mind of worries. Often, a behavioral change manifests too. There is a bounce in each step that can be detected as one skips happily to work on a project. For casual users, the mental clarity is a godsend. It creates a path for thoughts to flow and form freely until one has a fresher perspective. As ideas come rushing in, users experience a burst of creativity that renews motivation and heightens focus so one pours time into a finishing tasks or completing projects. The initial invigorating buzz usually tapers into a relaxing comedown about two to three hours after the last puff. It soothes the muscles but makes the body limber enough for users to move around and not locked to the couch. While others bask in the influx of ideas, the stimulating head high can be arousing instead. Hence, lovers may turn to it for as a natural aphrodisiac for a fun time in bed. Dry eyes and a cottonmouth are two of the most common reactions to smoking marijuana. After all, each strain contains cannabinoids that interfere with moisture production. Both are mild though and last only for a few hours. Still, if symptoms persist, growers may down a few glasses of water throughout the day to manage the symptoms. A more uncommon side effect of using Kushage is greening out, a condition characterized by dizziness, anxiety, and a subtle but eminent feeling of paranoia. It is usually the result of overconsumption but, it can also be caused by one’s disposition before the high. To avoid, users simply have to stick to dosages that correspond to one’s individual tolerance. Relief from stress is necessary to maintain a high quality of life. After all, constant exposure to it can result in hormonal imbalance that eventually leads to the early onset of depression and other mental health issues. Not to mention, it can exacerbate problems like hypertension which can potentially lead to a stroke. Hence, it is important for users to release chronic stress. To this end, Kushage works perfectly. It induces a happy high that relieves negativity while encouraging a bouncier mood. At the same time, its soothing euphoria calms the overwhelming dread that can sometimes paralyze users with anxiety. Because of this, it makes for a great stress reliever and anti-depressant that manages symptoms of issues like depression or PTSD. 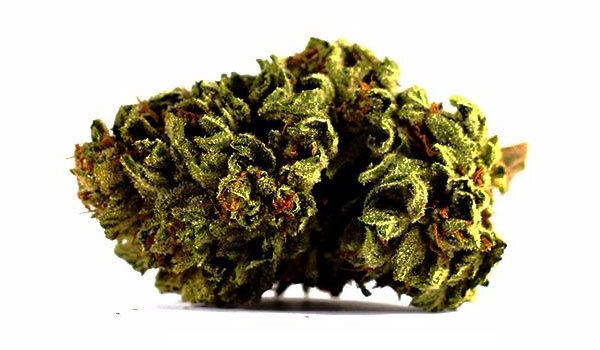 Due to its high levels of THC, Kushage also has the natural ability to reduce pain and aches all over the body. It soothes the muscles and, in doing so, prevents it from involuntary contracting. Because of this, it is of great comfort to patients dealing with spasmodic diseases or disorders such as multiple sclerosis and convulsions. It also appeases cramps in the stomach which discourages patients from eating. Hence, in relaxing the gastrointestinal tract, it also brings back the appetite especially in patients dealing with eating disorders like anorexia or cachexia. Like many Sativa-leaning strains, Kushage has lanky stalks, thin branches, and a long flowering period. Despite this, it is not at all a weak plant that easily tumbles down when fazed by strong winds or the cold. However, it will still need to be protected against extremely harsh weather such as snow which can kill it overnight. Investing in a temporary enclosing is highly recommended. Apart from keeping the plant safe from the snow during the early winters, it will circulate warmth and humidity better. With that said, Kushage matures around the middle of October to the first few days of November. A high-yielder, turnout is expected to bet at least 400 grams of buds per plant. Kushage has an indoor flowering period of 9 to 11 weeks. At harvest, it yields at least 400 grams of buds per square meter. It is possible to increase turnouts by employing a combination of growing techniques and setups. The Screen of Green, for example, is perfect for the Sativa-leaning strain. It manages its lanky stalks while providing support to its thin branches, which might break off due to the weight of its heavy buds. A hydroponics setup will boost bud production by directing nutrients straight to the roots. Moreover, it has the ability to hasten the flowering period. Soil, however, is great for improving the overall terpene profile. Have you grown or used the Kushage strain? If not, would you like to get your hands on this strain? Please leave a comment to let us know what you think. We want to hear from you.